What are the Challenges Faced by Renters? A growing number of people prefer to rent a home today for varied reasons. Some find it more affordable, particularly for those who don’t have a sufficient budget to allow them to purchase their dream house. For others, it offers the convenience of living close to amenities and the lifestyle they are after whilst for others, they can avoid the headaches that come with home ownership, such as dealing with maintenance issues and up keep of the home. All different types of people rent homes, apartments and units. They range from singles and single parents to couples and families. Some are retirees while others are downsizers or those who opt to move from a bigger home to a smaller residential property. But it’s not always an easy road being a tenant. There are often challenges that have to be dealt with. A recent survey by realestateview.com.au covering 1,216 Australians showed that more than half of renters or 59.7 percent are frustrated by not being able to make changes to the property they are occupying. These changes include putting nails in the wall, adding another phone line or installing a TV wall mount. Some 44.1 percent said they are annoyed by property managers who don’t respond to their issues. The pet peeves of other tenants concern pet rules/restrictions (37.8 percent), paying using their personal funds to fix things in the property (30.3 percent) and last minute inspections (14.7 percent). Another 14.7 percent of respondents pointed out the lack of flexibility in the lease agreement or contract. Lack of pet-friendly rental units is one of the major issues faced by renters in Australia, particularly for those who love to raise pets in their homes. Latest reports show that there is a rising demand for apartments that allow pets. Currently, less than 10 percent of rental properties in Australia claim to be pet friendly. 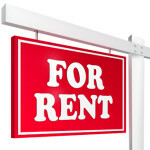 Finding a rental property also has its corresponding challenges. 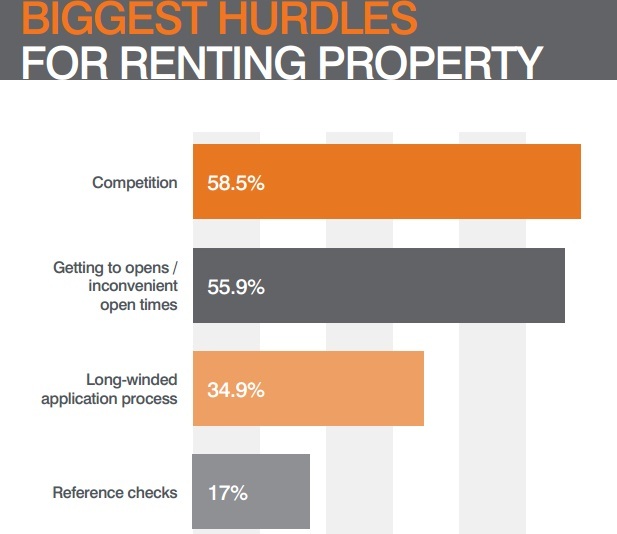 The survey found the top three difficulties faced by renters are competition at 58.5 percent, getting to opens or inconvenient open times (55.9 percent) and a long-winded application process (34.9 percent). The others cited reference checks (17 percent) and income test (16.6 percent). Have you encountered issues when trying to rent a home? Leave your comments below. Are Landlords Ready to Allow Tenants with Pets? It’s true! 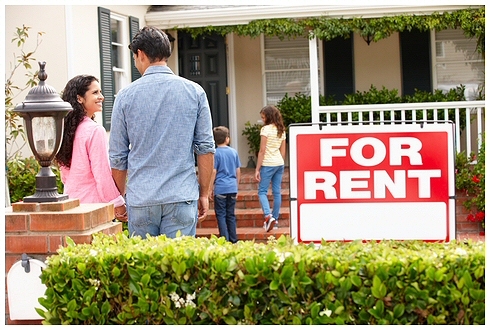 Renters have to face lots of challenges, it’s not an easy task to find a home for rent. I am so much impressed with this post, it would be very helpful for all those people who are looking for renting a home.